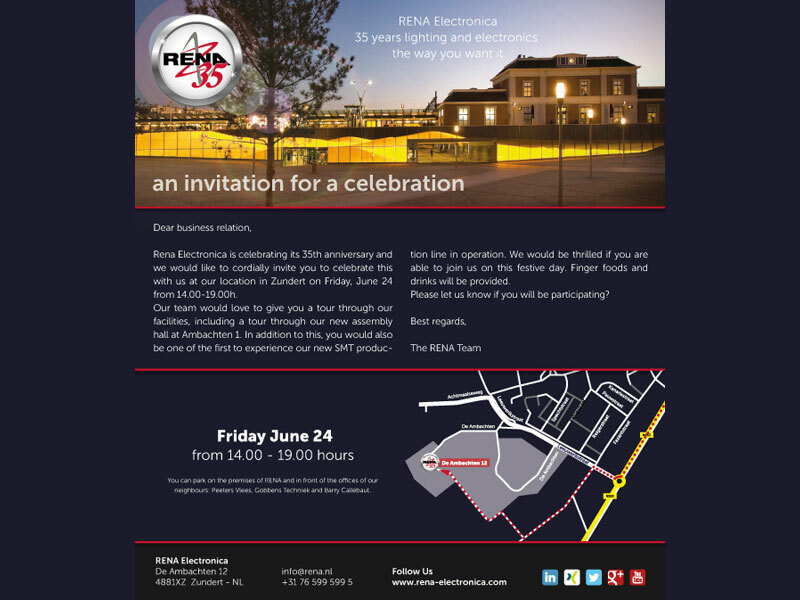 On Friday, June 24th our business relations are invited in the afternoon and early evening for a drink and a snack while a tour is organised through our various offices and production centres at De Ambachten 1, 12, 14 and 16. The evening will be reserved for an employee party and on Saturday we will have an Open House for our families and everyone who is interested to see what we do. Please let us know in advance if you want to have a look. You are most welcome!